Wat Po is one of the oldest and largest Buddhist temple complex in Bangkok, which is famous not only for its huge lying Buddha but also for its medical university, its natural healing center and its renowned Wat Po massage school. Myself I´m among those lucky ones who mastered the science of Thai massage among these several century old walls. The studio is located in Győr, in the heart of the city. Free parking is available nearby on the bank of the River Rába. My studio can be found in a pleasant atmosphere and naturally there is also an opportunity to take a shower. For name-days, birthdays, anniversaries and other special occasions, give a massage gift certificate as present. 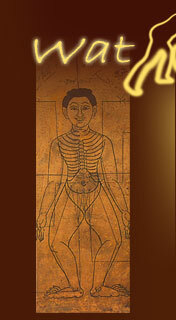 Wat Po Massage Salon is a contract partner of Tempo and Allianz Hungária Health Fund.